This new volume in the long-running Images of War series features the actions of the British Army on the Somme. 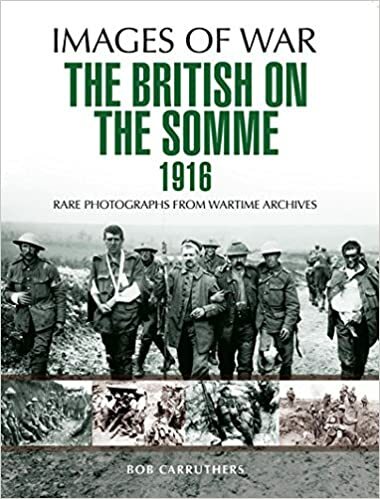 Not only is the book comprised of rare photographs illustrating the actions of the British army fighting on the Somme, but it is accompanied by a powerful text written by Official War Correspondent Philip Gibbs, who was an eyewitness to the events. Photographs from the battlefield illustrate the terrible conditions, which the British forces on the battlefield endured in the notorious engagement, which has become synonymous with vainglorious sacrifice. This book incorporates a wide range of images encompassing the actions of the British infantry and their supporting artillery. Also featured are images, which depict the almost incomprehensible reality of landscape, which characterized the war in the trenches. Portraits of the British troops are contrasted with German prisoners of war and the endless battle to get the supply columns through to the front.